Absurdity sometimes could be the ecstasy of intellectuals, you know? But against the urgency of the common people fighting in the streets over trivialities, what in God's name is the point of cultural studies? At this point, I think anybody who is into cultural studies seriously as an intellectual endeavor, must feel, on their pulse, its ephemerality, its insubstantiality, how little it registers, how little we've been able to change anything or get anybody to adjust to normalcy. I mean the common people on the streets. If you don't feel that as one tension in the work that you are doing, I'm afraid theory has let you off the hook. In a literal way, "Agebro" are conveyors of passengers. And conventionally, they are those who call for passengers at the park. 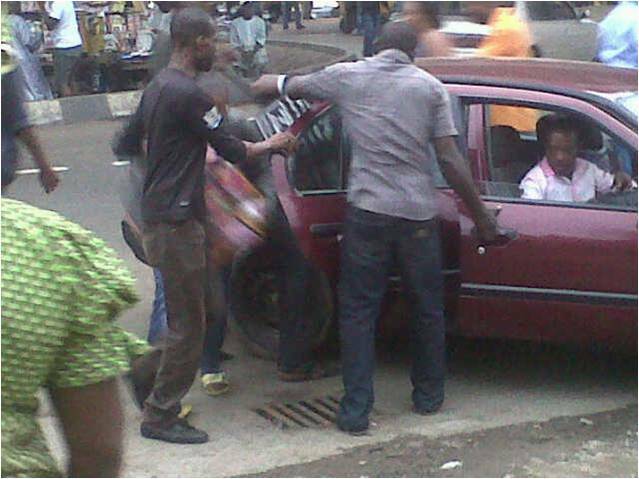 In most motor parks in the country are these able-bodied men who rush to grab the bags and luggage of passengers while at the same time trying to force them into vehicles they may not originally have the intention to board. At any park-gate, there’s quite a spectacle of such people who rush after taxis taking intending travelers to the park. At the park, you hear them screaming, “Oga, madam, Port-Harcourt by hummer bus! Ibadan by car, one more chance.” Even when no passenger has entered- it's always one more chance. Lagos is littered with Agberos and unfortunately here, Agbero's trademark has been hooliganism. Red eyes, throaty voice, bottle of hooch (alomo + ogogoro + opa eyin+ ale+ afato), plumes of smoke, unkempt beards, map of scars on the face and multicolored teeth are the common features of an Agbero; Lagos Agbero. As an occasional Lagosian, I seldom have issues with Agebros. I have seen their madness from afar but recently I also shared in the madness. My brother kicked me out of snoring when it was 4:30am. My brother- a civil engineer- has been mandated- albeit it was an impromptu notice- by his company to report in Uyo for a site work that needs his urgent supervision. He was dressed and he needed to talk with me, and most importantly, he needed me to see him off to the park. "Ogbeni get up, I have to meet the first bus at Ojuelegba o." He gave me a second kick, as I stretched, yawning and searching for consciousness. I was actually freed from insomnia around 2am and I had since sunk into a deep sleep. With my sleepy eyes, I reluctantly got up, dressed and my brother and I with one of our junior friends who had come from the next flat- hastily made it out of the house. In that dusky hour, legs groped as we pick our way to Ojuelegba-Under Bridge. Even as we walked, conversing, my steps staggered. I was partially dozing, yes, while walking. Not even the honking danfos with their crying conductors as we approached Under-Bridge could fully stabilize my consciousness. But as we were spotted as intending travelers, the Agberos jumped at us, at me, and grabbed my brother's bag I had, hanging on my shoulder. It was as if someone rushed at me to pluck my heart. It was then I woke up, fully. 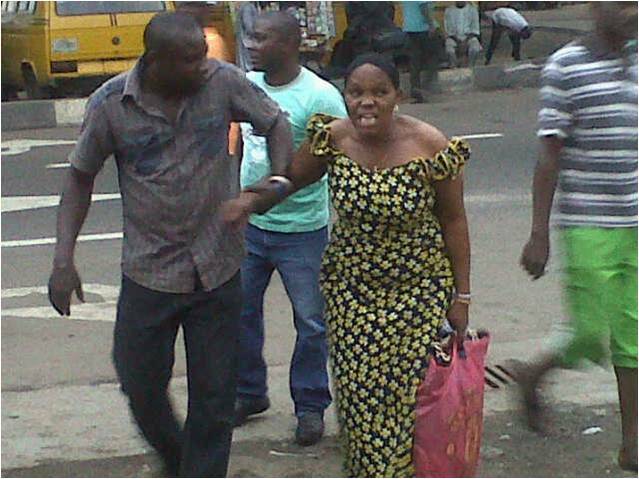 "See, Uyo here," the guy that grabbed the bag from me, picked my hand and dragged me behind him to the bus. I watched my brother struggling to retrieve his bag from the Agbero who rushed at him. "I say no be Calabar I dey go, give me my bag, na Uyo I dey go." My calmness with the Agbero who took me, obviously showed my brother that I was standing by the right bus. The Uyo bus. Then, I told the Agbero to go get his bag from his colleague. As we stood, a more refined guy (at least he was neat and wasn't smoking like others) walked out from one of the dark corners into the light that shone from the halogens under the bridge. "How many of you dey go Uyo?" He asked, looking into our eyes. I pointed to my brother. "Na only him?" He asked unsatisfactorily as he brought out a pen from his chest pocket and the receipt-booklet from the back pocket. Sharply, the other Agbero threw my brother's bags on top of the bus and went back to the roadside to fetch passengers. I crunched my teeth in annoyance, one of the bags contained some breakable engineering equipments. Then, I looked around and knew that we did not only meet the first bus, my brother would be the first passenger. I told him my brother's name but he couldn't find the words that spell his name. He expected me to spell for him, but no, I took the pen from him and wrote it. I returned the pen and he completed the filling. He only wrote the amount. "4... 5" He snapped his fingers at me as he tore out the receipt. I faced my brother and he counted five thousand Naira into my palm. I gave it to him and while he counted the five pieces of one thousand Naira notes- as though it was more than five thousand Naira- my brother asked if he could secure the comfort of a front seat. He gave a dubious chuckle and I knew he was going to finagle. "Bros dem dey pay for that front seat o." He muttered, pocketing the five thousand Naira. "Ok, how much?" My brother asked, agreeing to what I saw as not reasonable. "Na 500 we dey collect sha." He said, confidently. "Na wetin?" I retorted. "You see tribal marks for our face ni?" My voice was almost rising to a scream when my brother placed a restraining hand on my shoulder to disallow the ensuing ruckus. Then, a sinewy man who we had earlier seen resting in the bus, came down and walked into the circle. He scrubbed his teeth harder with the chewing stick, then, cleared his throat and turned his face out of the circle and spat out thick saliva. Facing me, he used the back of his palm to wipe his lips and the mucus crawling out of his nose. He sneezed. "Emi ni drifa moto yi. Mogbo tie n so Youruba lenkan. Bros ewo bi won se ma gba niyen, e sha fun ni 200. (I am the driver of this bus. I heard you guys conversing in Yoruba the other time. Bros, see that's how they collect it, just give him 200)." He spoke so mildly that it dissolved the anger molding in me. Nevertheless, to me, paying additional fee for a front seat wasn't justified, when it's not an aircraft. My brother came as the first passenger, and he should be at liberty to choose a convenient seat. But since my brother who was traveling and making the payment complained less, I had to submit to forbearance. The driver spoke to the guy and he gave me 300 Naira change- with a bit of smoodge. I crossed my hands behind me and took a walk round the bus, like an inspection. It was then I saw the name printed on both sides, AKWA IBOM TRANSPORT AGENCY LTD. The plate number also drew my keen attention; it has LRN (Ilorin). I called my brother to see and he liked it. Ilorin is our home. The driver whose tribal marks obviously show him as an Ilorin descendant later told us that the bus belongs to one retired army officer in Ilorin. The darkness of the sky was folding up, paving way for brightness. It was a few minutes after six and my brother was still the only Uyo passenger. He was checking at his wristwatch and the emptiness of the bus. We stood by the bus, watching the dramas by these Agbero guys. Soon, a woman who was going to Calabar was dropped at the park and three Agberos rushed at the boot of the car that came to drop her and each made away with her three bags. The confused woman stood still, watching her bags going in different directions. The three Agberos returned to the woman and were pulling her apart, as though they want to tear her. "Madam, see na this one dey go Calabar." "Madam, Nor be Calabar you dey go? Come jare"
"Madam, see Calabar don full here o." I was about raising my concern against the simultaneous loading of the Calabar buses when I now saw an Agbero dragging an Uyo passenger to another Uyo bus- just five steps away from us. 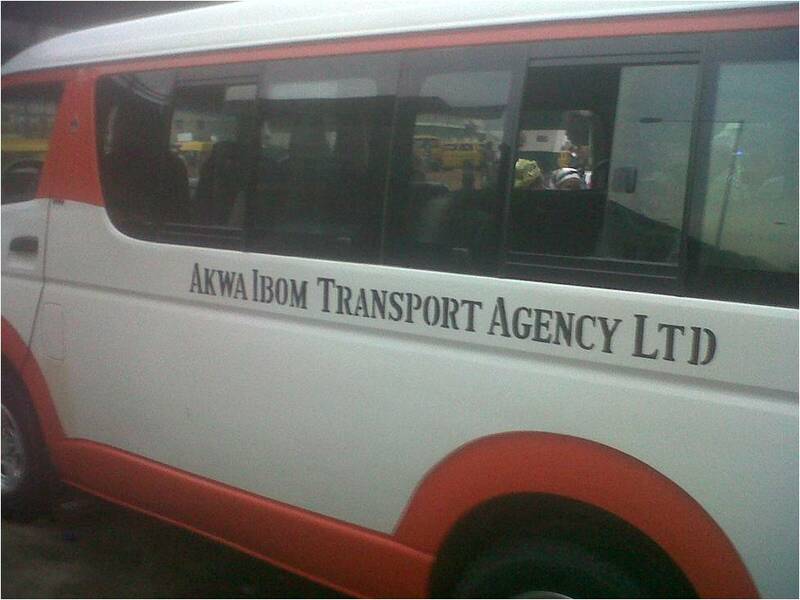 The bus, too, has the same brand as ours- AKWA IBOM TRAVELING AGENCY LTD.
Is ours not supposed to be the first bus? I looked around to ask, but neither the driver nor the guy who we paid to was available. Two Uyo passengers split in two Uyo buses. What nonsense. The loading arrangement here was void of logic. I asked one Agbero why they would operate such way, but he only gave me a smug expression and left. When my brother also noticed this, he told me to wait and he walked down to the nearby park. When he returned, he didn't come back with his gentleness. He gave me a flinty look. "Where is the guy that collected my money?" "How I wan take know where him dey na?" I smiled but my brother wasn't smiling. 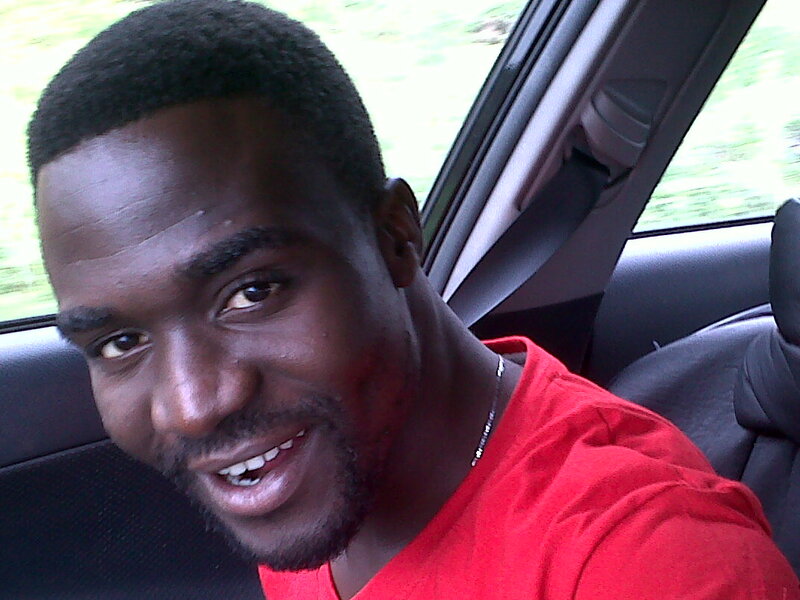 "fEMI see," pointing to the park where he was coming from. "Na the second Uyo bus dey load there. Everything is well arranged. For there, enough Uyo passengers queuing up for their tickets, not here that two buses are sharing two passengers. Make the guy come give me my money jor, I dey go enter Uyo for that side." Soon, the guy showed up and my brother and I confronted him. "Oya, my money, I dey go that other side." He clicked his fingers. "Oga wait na, the bus go soon full, nor worry." He spoke calmly and I cut in, angrily. "Comot, no dey tell me say the bus go soon full. We don dey here since five and na only my brother dey. Besides why these Agberos dey load the other bus ehn when one never full?" "Why him go relax?" My brother yelled. And before we knew it, a collection of untidy Agbero faces had gathered at us. 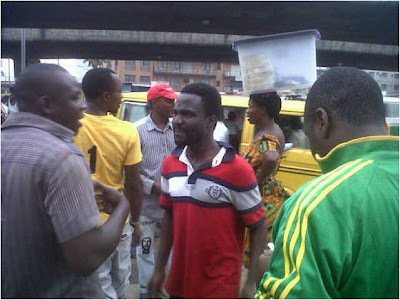 The guy was energized and he looked into my eyes, "guy I no dey return any money." Whaaaaat?! The bolt that held my madness was loosed. "You no dey return wetin? You don see trouble before?" "Na you wan give am trouble?" A baritone voice sounded from behind with a heavy touch on my shoulder. "Give me my money na! Which kind wahala be this? Ok, I no dey go Uyo again," my frustrated brother cried out. I threw the filthy hands on my shoulders away as I pulled out my chest out of cowardice and was ready to fight. I was immediately possessed by the spirit that entered me when I almost broke bottle on one guy’s head for trailing my sister down to our gate, many years ago. "Na me go give am trouble if he no give us our money." "No body dey give you your money here, do your worse." "Haa!" My brother cut in more aggressively, "See wetin this guy dey tell me, na you work for my money for me? I say I no dey go Uyo again! No be your fault, na because I couldn't fix a flight." I searched for the worse I could do, but not with these guys, I borrowed myself some brain. The time was going to 8 o'clock, the uproar continued, and my brother and I kept on shouting for the refund of his money. I brought out the receipt from my brother's pocket and faced the guy who issued it. "Now tell me where dem put am for this receipt say person no fit collect him money back when him change him mind? Show me na!" "Look, I will sue you and your company to court. This is total craziness. Person say him no dey go Uyo again and you no wan return him money." Suddenly, my brother spotted a uniformed soldier passing by. He ran after him and after explaining what was going on, the soldier came to the scene. "Yes, your own don be today," seeing the sojo, I boastfully pointed into the eyes of the guy. "Give him his money," the soldier ordered. "Oga, see no be like that e be.."
"Na how e come be ehn? Give me my money!" My brother cut in, shouting. "Wait na," the soldier faced my brother with a restraining hand on his chest. "I said give him his money," he ordered again but this soldier’s voice was too soft to be an order. He didn't even have a gun on him. I began to loose my hope in the soldier when it seemed like the guy's explanation was subduing his weightless order. I didn't even know when he disappeared. One of the Agberos came to mock us "You go call soja? Hahahahaaa. See make I tell you, na soja get this bus, and even if you go call Fashola, no body go return your money." My brother hissed and returned to his protest. "Give me my money!" I was getting weary, these guys were just annoying. My arguing power failed me as it was overpowered by the Agbero's. I gave myself a break and I stepped aside, to lean against the other side of the bus. Then, I carefully read through the receipt in my hand. The heading was Niger Delta Development Commission. I was first surprised that the receipt was issued under the NDDC name, then I thought I would write the NDDC to report this nonsense. And reading downward at the bottom of the receipt was clearly written, Note: Luggage is at owner's risk. Fares are not returnable after ticket has been issued. I sighed, and in degradation I raised my head and I still saw my brother, shouting "Give me my money!" HAHAHAHA,AGBERO VS ALAKADA.INTERESTING.THUMB UP BRO. Na wa o...I seriously don't like trouble o.